Not too long ago Utility Pro* had an update to version 1.3.0 that added the mobile “hamburger” or stacked menu to the footer navigation. 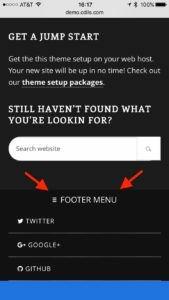 This tutorial will show you how to remove that mobile footer menu if you so desire. 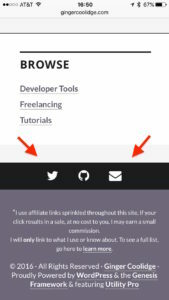 While I was thrilled to incorporate the new 1.3.0 changes into my Utility Pro Developer starter theme, I was not thrilled at the change this made in my website’s mobile footer navigation. Long story short, when I was building my site, I chose to display the footer navigation inline, meaning in a straight line horizontally on mobile devices, the same as it appears on larger screens. If the screen shot above did this it would run out of room, or wrap the social site names and be visually hard to read. 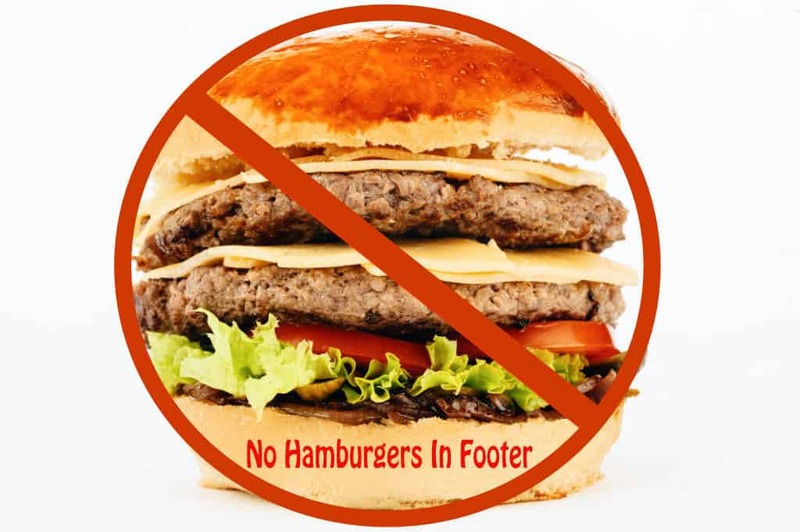 On my site this wasn’t an issue since I opted to use only the icons for my menu items. That’s it! Hit refresh and you should no longer see the mobile menu appear at the bottom on mobile device screen sizes.